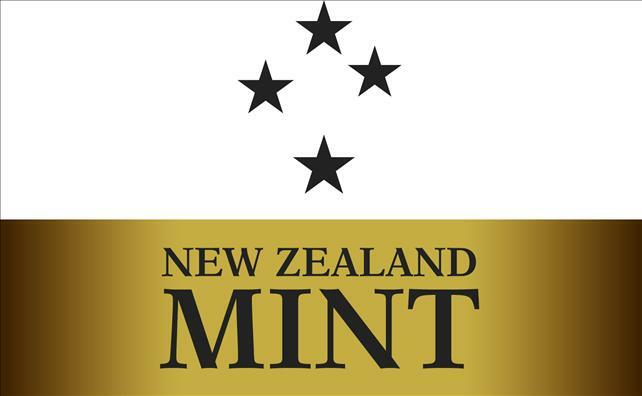 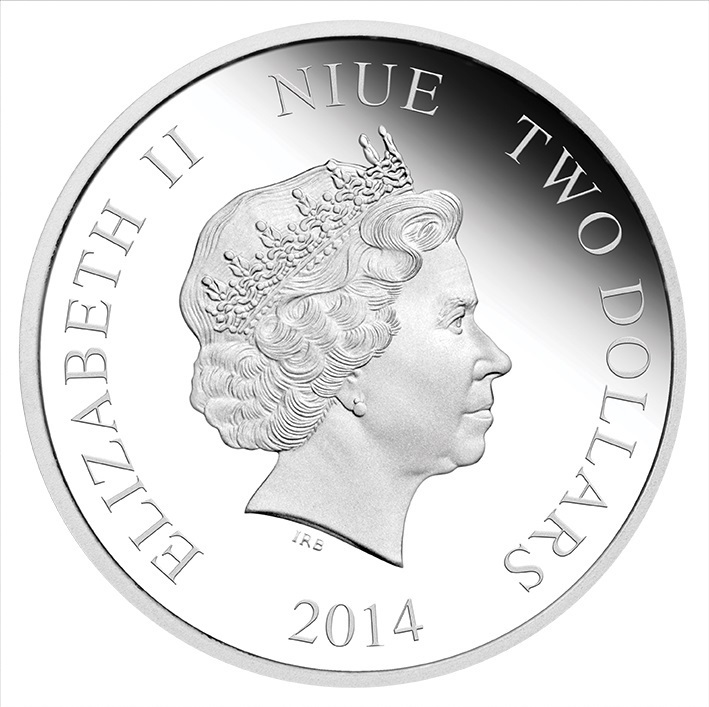 Issued by New Zealand Mint as legal tender of the South Pacific island nation of Niue, the coin’s obverse depicts the Ian Rank-Broadley effigy of Her Majesty Queen Elizabeth II, the 2014 year-date and the monetary denomination. 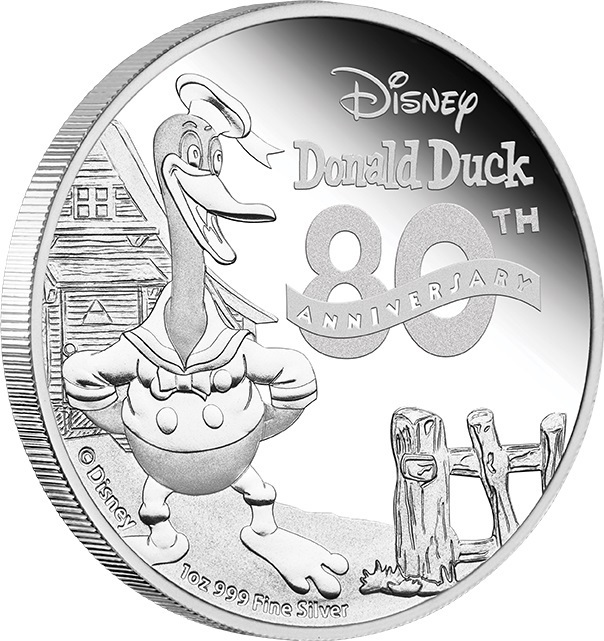 Under official license of Disney, the Disney – 80th Anniversary of Donald Duck 2014 1oz Silver Proof Coin is issued by New Zealand Mint. 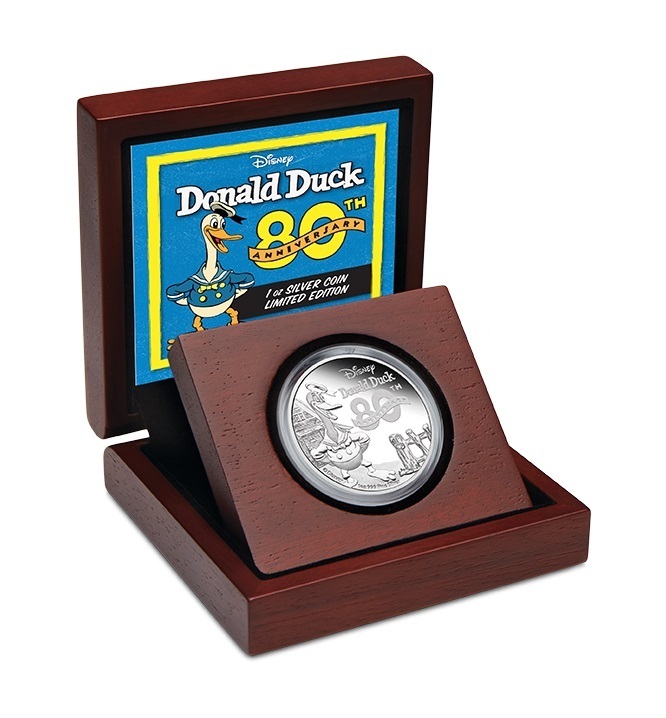 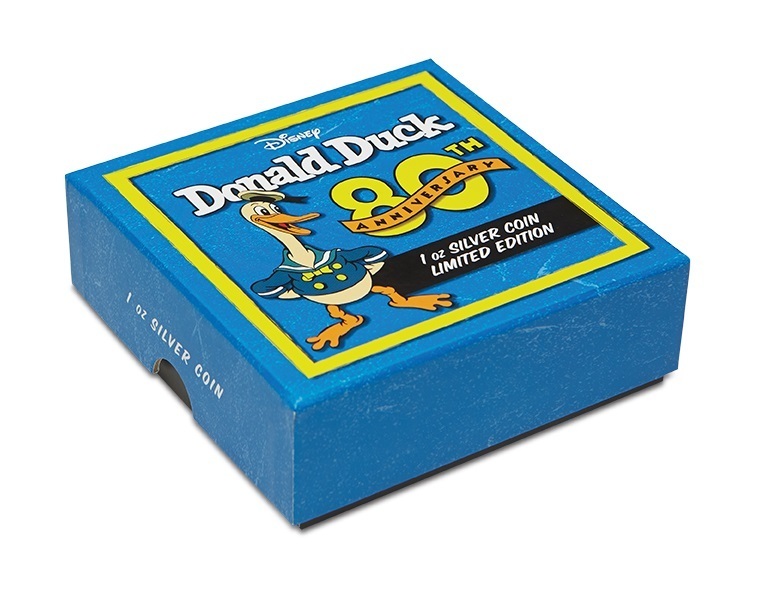 No more than 10,000 of the Disney – 80th Anniversary of Donald Duck 2014 1oz Silver Proof Coin will be made available worldwide.